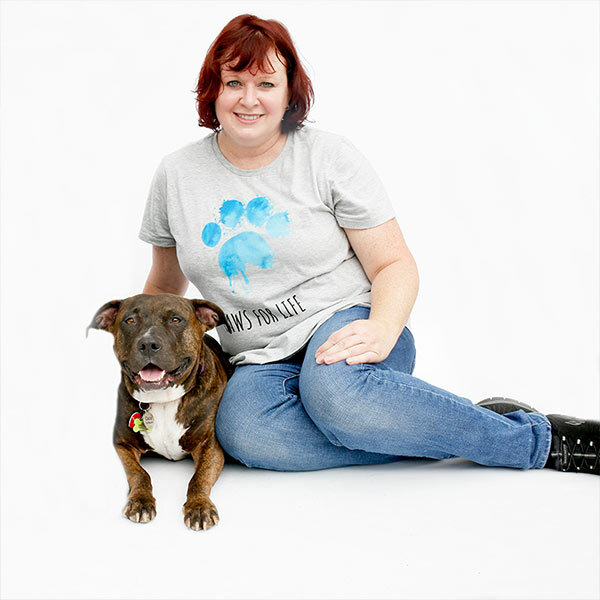 Pamela and her family started volunteering in dog rescue in 2015 and since then they haven't looked back! Pamela is an Indiana native and moved to Los Angeles via Chicago in 1993. She and her daughter, Zoe, started volunteering after being introduced to the Reading isn't Ruff Program at their local library. Pamela found volunteering to be the perfect dog fix as her older daughter, Scout was severely allergic to dogs and cats. Thanks to allergy shots, the Brodsky family was able to adopt rescue dog Coco in 2016. Pamela has enjoyed every moment of volunteering and is so proud to participate in all aspects of Paws for Life K9 Rescue; the Paws for Life Prison program, Adoption events, vet checks, etc. Coco is now a certified Canine Good Citizen and Pamela is thrilled to be the coordinator of the Reading isn't Ruff program, bringing canine ambassadors to local libraries to assist children in improving their fundamental reading skills.